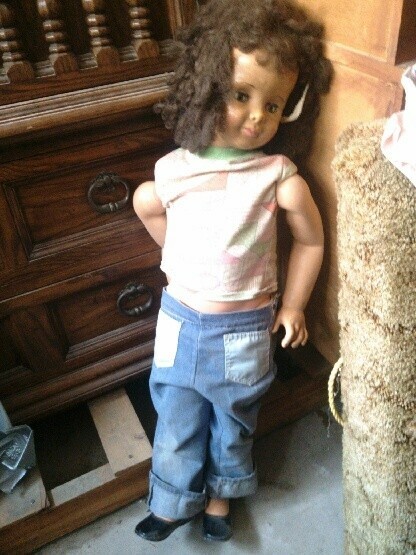 Old plastic dolls will get grimy over time and need careful cleaning to avoid damage. 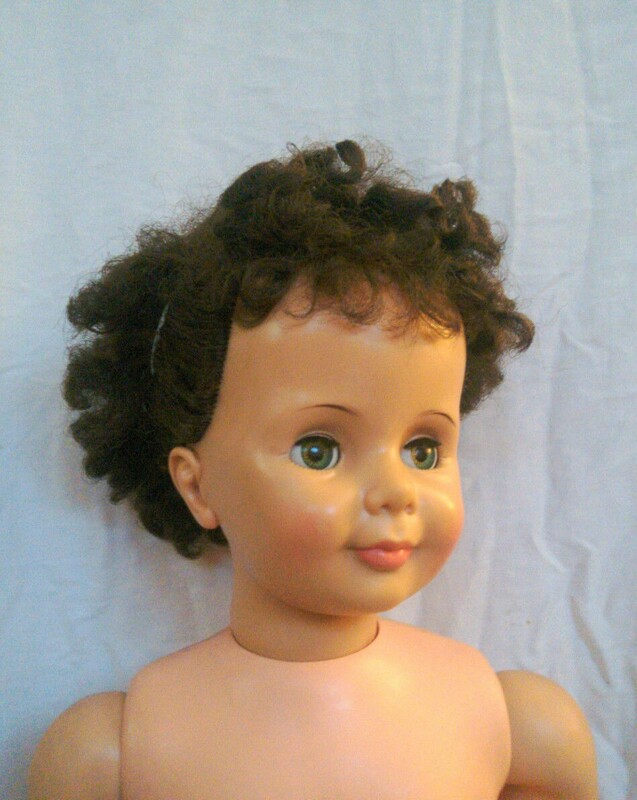 This is a guide about cleaning a vintage doll. 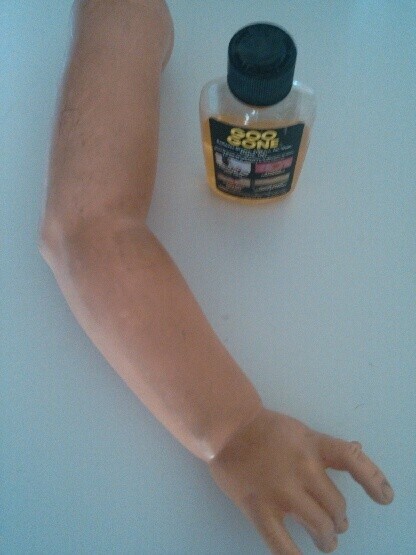 Here is a way to remove hard grime on a vintage plastic doll without scraping and doing damage. 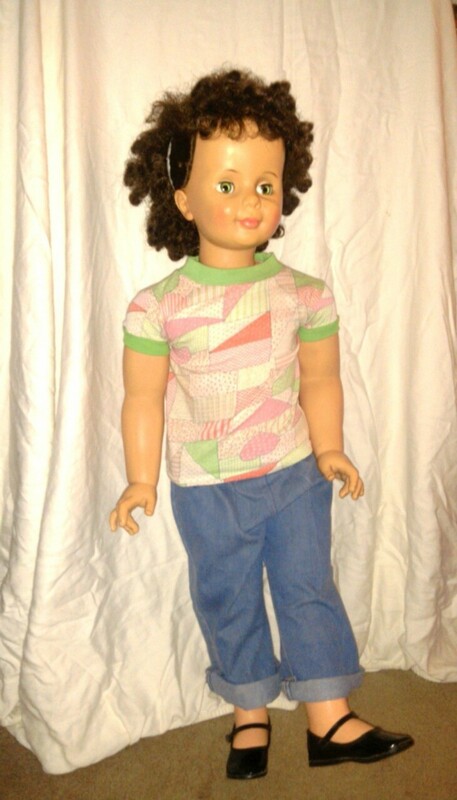 This was a life size Patti Playpal doll that I found stored away for years. First wash the plastic doll with with mild dish soap and warm water to remove dust. 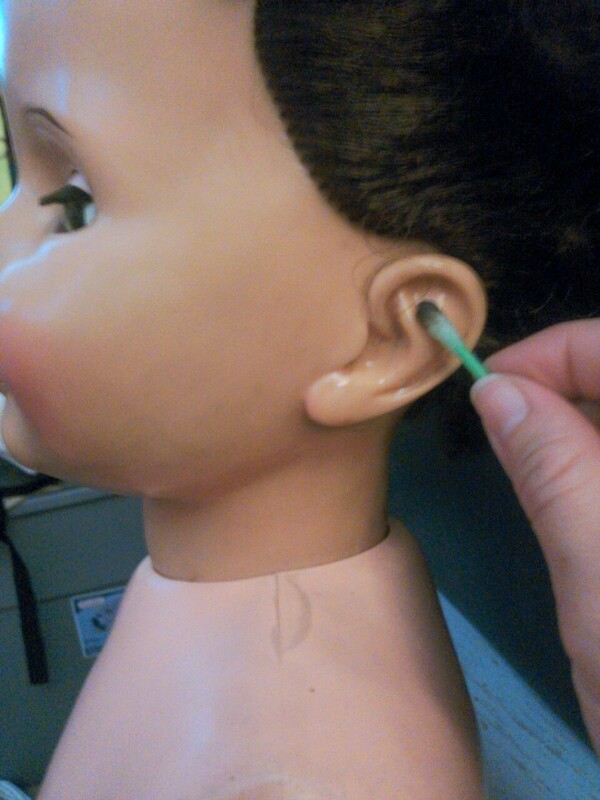 Then hang the doll upside down so all the water will drain out though the hair. When completely dry use Goo Gone on a paper towel. The paper towel is just stiff enough to remove the grime. Use Q-tips to do the details.